I usually make my mom’s recipe for Vasilopita New Year’s Day (or Eve). 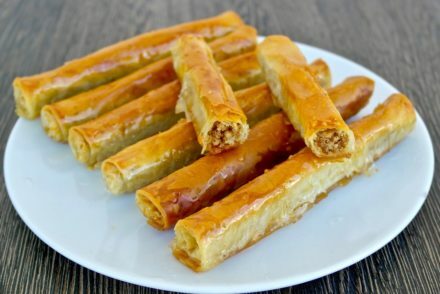 In case you are not familiar with this tradition, Greeks make a cake with a coin hidden in it, that is cut on New Year’s Day or New Year’s Eve. Each person present is provided a piece, and he or she that has the coin in their piece is promised good luck for the rest of the year. You can check this post for another Vasilopita recipe and a little bit more about the tradition. This year I wanted to make a lemon flavored Vasilopita (instead of orange) with olive oil instead of butter. I was inspired by this recipe from a Greek flour company, which requires egg whites added in separately giving it a light texture. I also used yogurt in place of some of the fat and was able to reduce some of the olive oil. This recipe here also gave me the idea of using ground almond, and having just come back from Belgium where they use plenty of almond powder, I thought I would use it here. So here we have a recipe that has much less saturated fat than your typical vasilopita, a bit more protein due to the almond powder and eggs plus a nice lemony touch. In a medium bowl, mix the flour and baking powder and baking soda. In a large bowl, mix the olive oil, zest and sugar. Once combined add the yogurt and mix well. Then add the vanilla and cognac and mix. In a small bowl mix the egg yolks with the lemon juice and add to the olive oil mix. Once blended add the almond powder and mix well. Add the flour mixture to the olive oil mixture, stirring until flour has blended in, do not overmix (I did this with a wooden spoon). Beat the egg whites until you get soft peaks. Fold in the batter. Line the base of an 8 inch pan (20 cm) with wax paper (I use a springform pan). Grease the whole pan and sprinkle with flour. Pour the batter in the pan (it will be thick). Bake in the oven for about 40-50 minutes. The top of the cake will brown (don’t worry about it). Check with a toothpick for doneness. Remove from oven and let it cool. Remove from pan. And let it cool. Turn upside down and push your coin in the cake (wrap in foil first). Turn right side up. Once completely cool, sprinkle with powdered sugar. Add any designs you like on top. This looks awesome! Will have to try it out sometime soon :-)Happy new year! I have organic all purpose flour. Can I use that? Καλή χρονιά Ελενα, με υγεία κι ευτυχία. Οτι καλύτερο εύχομαι. Πολύ ωραία βασιλόπιτα. Απο τα υλικά φαίνεται πως είναι αφράτη. Hi Andrew, Hard flour is bread flour. Elena, I made this Vasilopita and it’s absolutely fantastic! I love how light but flavorful it is! I did make a few small tweaks… I didn’t have ground almonds so I substituted the same weight of spelt flour. I also wanted the mastica / mahlepi / orange flavors going on, so I skipped the lemon and used orange instead, then added 1/4 tsp ground mastiha and 1 1/2 tsp mahlepi seeds, which I ground with the sugar in the food processor. I also decreased the sugar by 1/4 cup. It was wonderful and proof that I think this cake could be the base recipe for many different flavors… Thank you for the inspiration and Καλή Χρόνια! Χρόνια πολλά Έλενα και καλή χρονια να έχεις. Πολύ ωραία, νόστιμη και αφράτη βασιλόπιτα. Τρελάθηκαν όταν τη δοκίμασαν την πρωτοχρονιά. Όλλοι μου ζήτησαν για τη συνταγή. Ευχαριστώ για τη συνταγή. 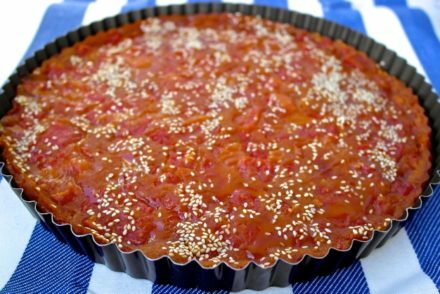 I am loving this Greek New Year’s Cake recipe. I made it this New Year’s Eve Party celebration. My kids love it and they won’t stop eating. Thanks for this. Merry Christmas and Happy New Year! Xoxo. 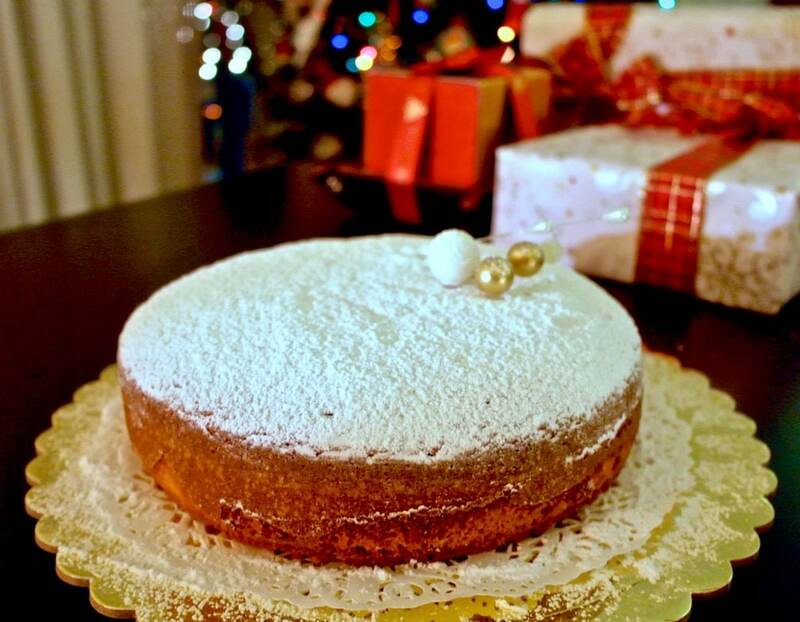 We shared this lemon flavored Greek New Year’s cake vasilopita this holiday season. Everyone in the family loves it! 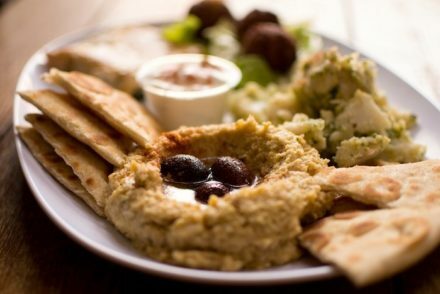 Every bite burst with happiness, it’s like the heaven opened its gates. This is so good, so thumbs up! I was looking for a cake to bake for the whole family and I stumbled on this article. I read and followed the instructions carefully and I made it deliciously! Every member of my family is so happy! Thanks for this!